Sometimes, good things come in big packages. . .
. . . or big checks. 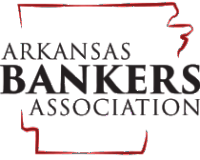 . .
Economics Arkansas received a grant for $14,469 from State Farm Insurance to fund the Stock Market Game program and Teacher Grants. The check was presented by Luke Kasten, (center right), territory sales leader at State Farm, during a visit to Baker Elementary School (Pulaski County Special School District) on May 7, 2014. He is flanked by (from left to right) Lisa Byrum, economics education specialist at Baker Elementary and Master Economics Teacher; Marsha Masters, Economics Arkansas program coordinator; Debbie Shearer, teacher at Baker Elementary and Master Economics Teacher; Dennis Bost, State Farm sales associate; Jerry Guess, superintendent of the PCSSD, Sue Owens, Economics Arkansas executive director; Jennifer Taunton, Economics Arkansas program coordinator, and Jackie Smith, principal at Baker Elementary. Students from Lisa Byrum's class cheer on. Thank you, State Farm, for your generosity and support!